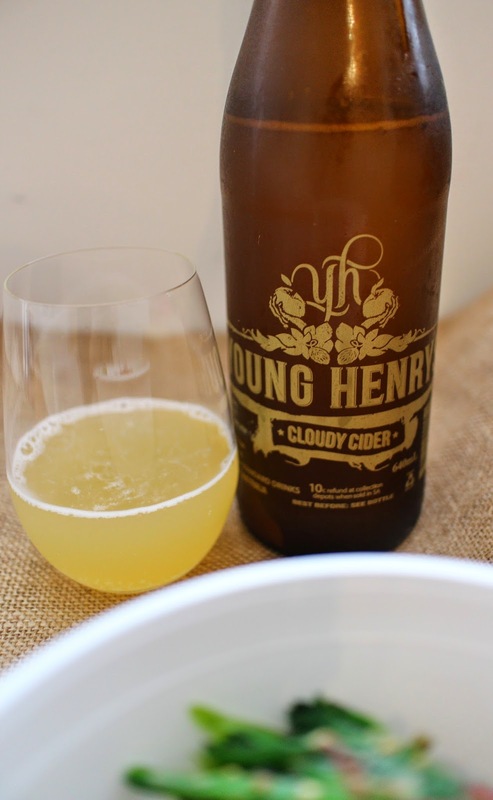 I'm really excited about this week's cider as it comes from a local inner-west brewery called Young Henry's. Pete actually told me about these guys as he is a huge fan of their Hop Ale. 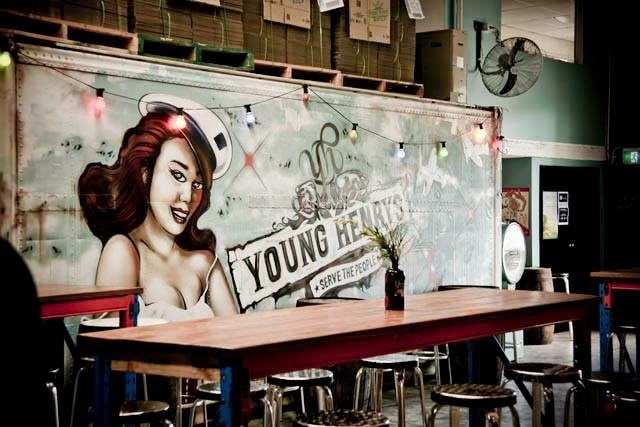 Located in the Sydney suburb of Newtown, Young Henry's was started by a group of talented brewers and hospitality 'veterans' whose love of quality beer led them to the creative hub of Newtown after a small hiccup with DA Approval at their original site in Surry Hills. Named after Owner Adamson's first son Henry, the idea was born after seeing a gap in the Australian Craft Beer Industry, particularly in Sydney. 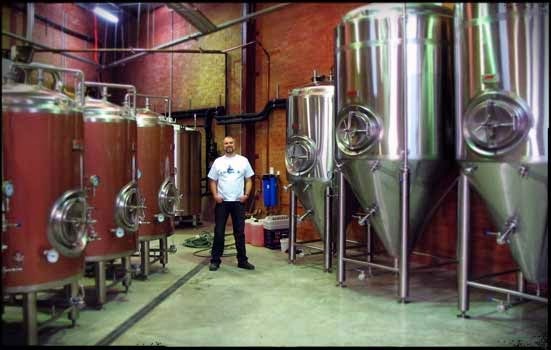 As a result, the team set up a natural gas DME brewery which produces ales, lagers and cider which pay tribute to old style values and techniques. This cider is a traditional English style apple cider with a lovely complex structure very different to the majority of the ciders currently on the market. And for this reason, Pete and I are big fans. It starts rather tart on the palate but this gives way to a creamy texture and balanced sweetness. It has earthy notes which play ode to the flavour of the apples which are a blend of Royal Gala and Pink Lady sourced from the Trimbole Family in Griffith, NSW. The juice is trucked to Newtown where it is fermented before it is slowly re-carbonated. The team have created a high quality cider here and it's nice to note they haven't added any artificial flavours or chemicals to the mix. This one will pair well with most foods. I enjoyed mine with some Japanese. This cider is best served at room temperature or slightly cold. Definitely not with ice if you want to appreciate its true flavour profile. At 4.6% alcohol, a 640ml bottle will provide you with 2.6 standard drinks. Tastings are available on site at Newtown and you can even purchase a returnable 'growler' to take home. These are Pete's favourite, and we usually have one floating around ready to be refilled. 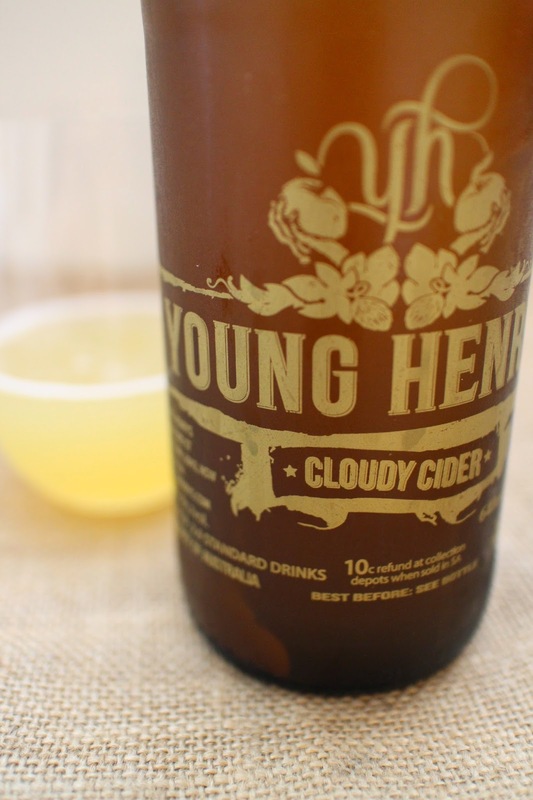 The Food Mentalist purchased Young Henry's Cloudy Cider from their brewery in Newtown. Located @ Units D & E, 76 Wilford St. Thanks for the review, I haven't been able to try their cider yet but now I know it's a good one. A few cider loving friends like this cider. I haven't actually tried it myself but good to see your review on it Erin!